Continuing on with my series of Becoming What I Came To Be, another trait that took me years to learn was the fine art of forgiveness. When you experience hurt after hurt, the last thing you want to think about is forgiving those who hurt you! As I have mentioned previously, my sister and I were not raised in a Christian home, even though mother would never have agreed with that assessment. After all, her dad had been a minister, so of course she was a Christian! And, since she was a “Christian,” we were, as well – after we completed the confirmation (a/k/a affirmation of faith) process that we were to go through at the church we visited infrequently. I have to admit I really don’t remember much about the whole confirmation procedure; I just wanted to get it over with because mom was making me do it. It didn’t help matters that there was a guy in my class I also went to school with, and he was mean, always making fun of me and my family – especially when dad would come to pick me up from church in our old Edsel. I was embarrassed and humiliated. Anyway, I’m sure during those classes the subject of forgiveness must’ve been taught, but I don’t remember hearing about it. Of course even if I had, I wouldn’t have done it anyway. My motto? Payback instead of forgive. When people make fun of you it hurts, doesn’t it? Bullying was definitely alive even back when I was young! Let’s face it – kids can be mean (but so can grownups). When someone made fun of me (or I perceived they were), my first thought was how could I get them back – I’d show them! The problem was, I totally failed to realize (or even care) that what I was doing to these other kids was exactly what had hurt me so badly. It just didn’t matter. Since they hurt me, I was going to try and figure out how to hurt them back. The biblical truth that we’re to forgive each other by being patient and gracious (Colossians 3:13) certainly never entered my mind. My unforgiving attitude also ended up being directed at my mother a lot, especially after dad had an emotional breakdown in my early teens and disappeared from our lives. I knew without a doubt that it was her fault! If she hadn’t always been yelling at him and complaining about things, dad would never have suffered as he did – and he would still be in my life. So I began hurting mother verbally with mean words when I was a teen. I got extremely sassy and often would be downright nasty. She needed to pay! But the worse case of my unforgiving heart came when I found out I was pregnant with twins when our son Matthew was 2 years-old. I had wanted only one more child, not two! How could God do this to me? Yes, to me God was simply a puppet on a string – He should be following my orders! But our Heavenly Father has ways of getting our attention, doesn’t He? 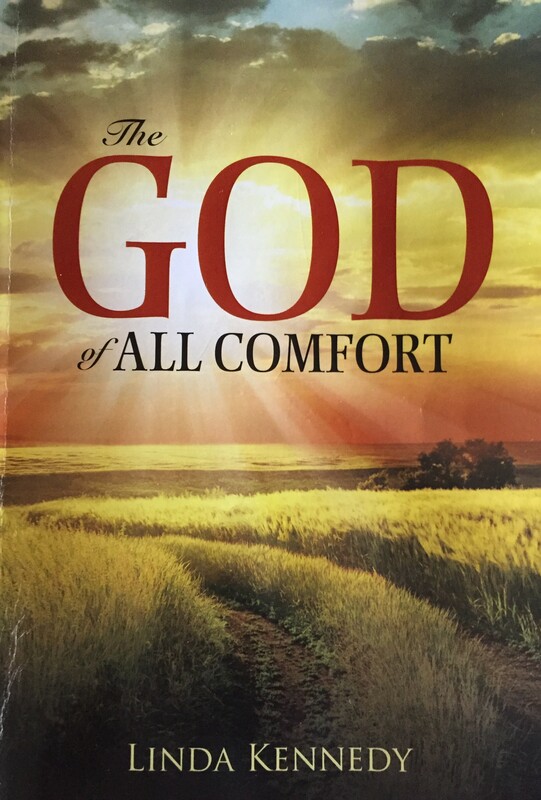 He got my attention when at 5+ months I ended up having to undergo an emergency C-section, which I detail in my book The God of All Comfort. Through the trauma and heartbreak of the following 8+ months I finally came to realize Who was in charge. And through that all, God also patiently began to teach me the importance of forgiveness. In the book, God Will Make a Way, Dr. John Townsend says we need to “learn to let go of blame, learn from the past, and take ownership in the present” (p. 277). Good words. Next week I’ll talk about how hard it was for me to genuinely learn to love others. Have you struggled with that, as well? My dear friend….this person you describe is so foreign to me. My contact with has always always been loving and supportive. Reading, I see where we both did experience the ruff patches with our mom’s. Both for different reasons. God has really been doing a work in me with this move to Issaquah. A long story, but this house turned into a real PSTD experience for me, and all sorts of darkness came out. God provided a new counselor, that helped me work through some of that trauma. Did a bit of EMDR work, which help unblock some of the pathways the enemy was using. I love how God continues to pull us along, and doesn’t give up on us. I’m very much in a new learning phase. I’m shocked with how things are turning out. Before mom’s death, I struggled for so long with trying to make a relationship with her. Now at her passing, I wish I could have had what it would have taken, to help her unlock some of the trauma she went through. I know it lead to her poor parenting skills. But you know, those trauma, though not intentional, still can jolt through you. But they are also what has made me who I am. But I at last stop asking “What’s wrong with me”, but am instead feeling Beloved!. That’s huge. I pray God is surrounding you with tons of loving support. I know for a fact, that you are busy supporting all the women you can. My prayer is for you and Gary to feel loved and cherished. You know sweet friend….you already addressed me on what I just shared with you. Here was your sweet response to me back in November of 2017. And no, don’t bring any icky dark stuff – only things that have caused you joy. Now’s a great time to throw unpleasant memories in the trash and allow God to continue to shave off all the old bad memories that being in your current house has caused you to have. Remember, God doesn’t want you to look back, but to take each day as it comes, remembering that He has your hand tightly in His. And also remember, precious friend, God wants to use your past trials in order to lift up others. Don’t be afraid to let people in! They need to hear your story and know that they’re not alone. You never know what people are holding inside of them, and you never know how healing it will be for yourself when you find that others struggle with the same things. It took me a year, to finally find a good counselor, that could help me through the darkest stuff. And as it turns out, I joined a prayer group here in Issaquah, and God had me really open up and share. And you are right, people need to hear how God wants to heal those hurts, and I’ve watched as my sharing, has allowed the other women to be transparent. We have become a safe place to share and support. Just wanted you to know God has transformed you. With that transformation, you have made a safe place for me, you are so supportive, so encouraging. Your articles sometime paint you as a brat. But you weren’t that, you were a wounded sister. And I’m so glad God continues to work through all you hard times and you share your hope with us. Love you to pieces, sweet Barb. Yes, God changes us, doesn’t He – and I’m so thankful! Time for a fresh new season in your life; time to be set completely free. You were a good daughter to your mom, and you are a very precious daughter to our Heavenly Father. And … I know that through your vulnerability to your new friends you are going to help them to heal, as well!